Rich Kirby (Songs & Ballads) Rich’s musical journey—learning, performing, collecting, recording and teaching- began on the lap of his grandmother, ballad singer Addie Graham. 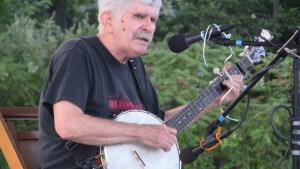 He performed with John McCutcheon and Tom Bledsoe as Wry Straw; he now leads Rich and the Po’ Folk. A founder of June Appal Recordings in 1974, Rich recorded and produced numerous albums, most recently The Very Day I’m Gone, a compilation of Addie Graham covers. His weekly radio shows, on WMMT 88.7 FM and WBCM 100.1 FM, present mountain music in all its breadth and glory. Linda Jean Stokley (Old Time String Band) is a native of Woodford County, Kentucky and is a versatile multi-instrumentalist. She is a recent graduate of Morehead State University, where she earned both a Bachelor of Music in Jazz Studies and a Bachelor of Arts in Traditional Music. After graduating she was awarded a Kentucky Folklife apprenticeship with master fiddler, Jesse Wells. 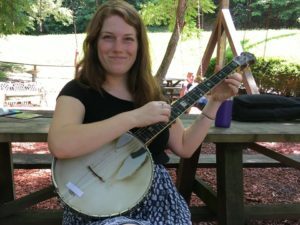 She has worked in the archives at the Kentucky Center for Traditional Music and drawn much of her repertoire from regional fiddle and banjo players. She has performed widely with Montana Hobbs and Megan Gregory as the Local Honeys. Their latest recording of traditional and original songs is Little Girls Actin’ Like Men.